Filling this year's Panini World Cup sticker book costs £773.60, twice the cost for Euro 2016, according to maths expert Prof Paul Harper. The pages contain 32 squads of players, plus managers, stadiums and World Cup legends, totalling 682 stickers. A pack of five stickers has risen from 50p to 80p - a 60% increase. If you buy 137 packets and never get the same sticker twice, it will cost £109.60, but this is "extremely unlikely", says the professor. Prof Harper, from Cardiff University's School of Mathematics, worked out a formula to include the least probable number of duplicate stickers. In the end, he demonstrated that on average you would need to buy 4,832 stickers - or 967 packets - to complete the Italian-made book. One cost-saving measure is swapping stickers between friends, but even with that tactic, filling the album would be expensive. With 10 friends swapping, it could still cost them an average of £247 each to complete the album, according to the professor's calculations. In a statement, Panini said: "If you have difficulty swapping, you can send off to Panini for your missing stickers." "The theoretical cost calculated by the academics assumes that the collector is in a bubble with no one to swap with or no access to the internet to send off to our missing stickers service." In 2016, he made the same calculations for the 680-space Euro sticker book. It was £374, meaning the cost has more than doubled. 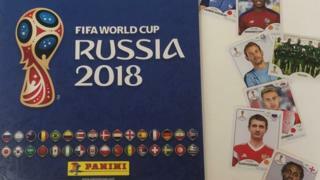 While the Euro competition only had 24 squads - fewer than the World Cup - there were only two fewer stickers in the book printed two years ago. "I can still recall the joy of finally completing my first Panini album as a young boy for the 1982 World Cup in Spain," said Prof Harper. "Filling an album has become progressively more expensive over the years since then, not just because there are typically more teams competing now, but because Panini have become more creative about allocating spaces."